It’s a light summertime breeze dancing with the scent of vibrant flowers. It’s the tingling warmth of the sun’s rays on your shoulders. It’s that glow of fond memories from great food and enthusiastic laughter. There are so many reasons to love backyard parties. To keep those unforgettable memories coming, we’re letting you in on a few of our favorite tips for styling summer parties. They’ll work well for celebrations of all kinds - anything from the 4th of July to family reunions. Or even just for fun. Because you don’t reeeally need a reason to throw a bang-up backyard bash. Let’s start with table set up. If you have access to a long table, you can go buffet style. To make the most efficient use of your space, incorporate serving pieces of varying heights. So along with your traditional platters, set a few food items in out-of-the-box tableware like baskets and on cake stands. This will help add some dimension and visual interest. Our Grissini Genoa Breadsticks, for example, display beautifully in taller baskets because of their height. They’re perfect for snacking and incredibly easy to make. 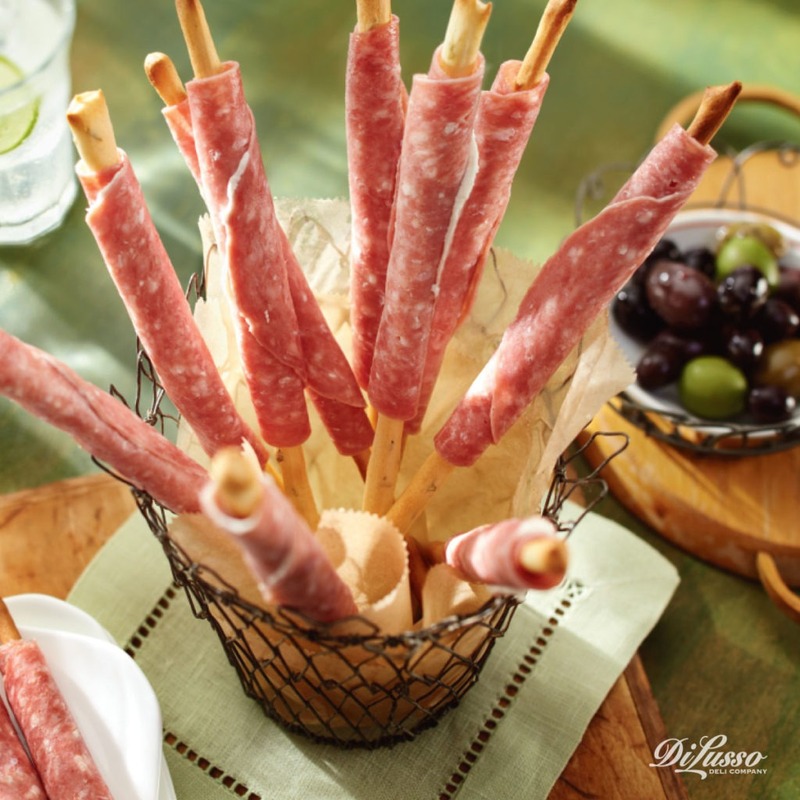 You only need 3 ingredients: our Genoa salami, cream cheese and a package of Italian breadsticks. Plus, they’re a hit with the little ones. No long table? No problem. Scatter food items among a few smaller tables. This will encourage guests to float from table to table and mingle. With this type of set up, you can easily make the food an eye-catching centerpiece by placing it on a white platter in the middle of the table - the appetizing colors and textures will pop in contrast. Take our Asian Cucumber Rolls. 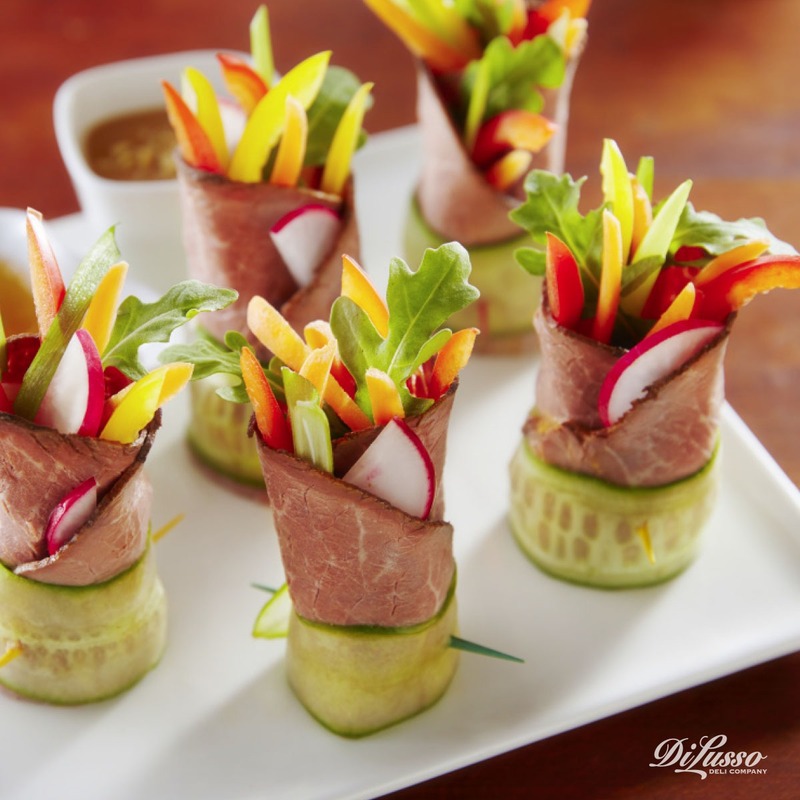 The white platter helps bring out the beautifully marbled strokes of our seasoned roast beef, the vibrant green of baby arugula tufts, and the iridescent array of carrot slices, julienned bell peppers and radishes. And the best part – they’ll taste even better than they look. Consider some unconventional seating ideas. There never seem to be quite enough chairs to go around. 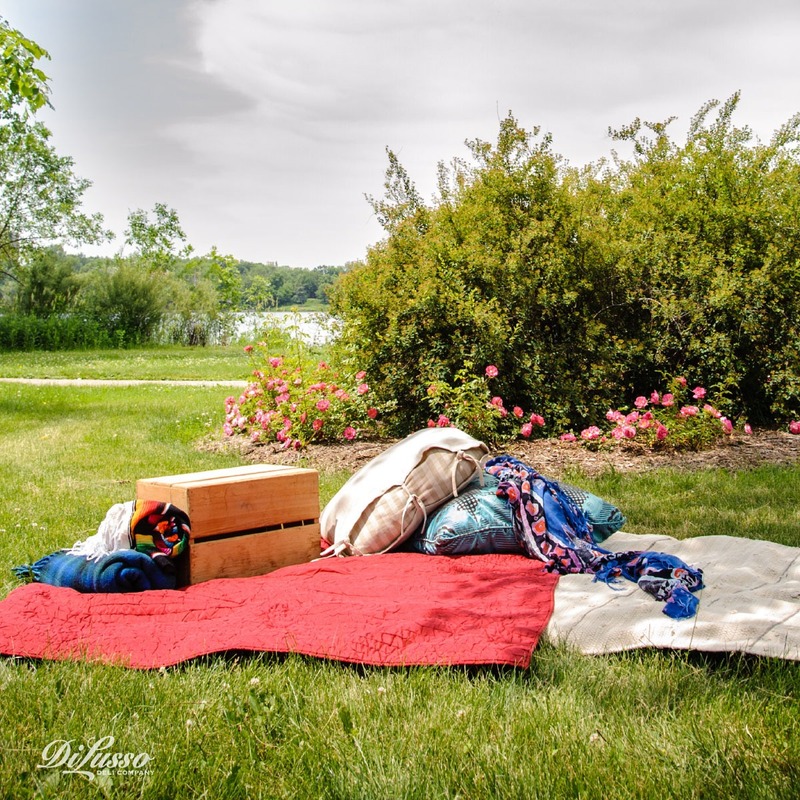 So bring out oversized pillows and blankets, and lay them in the grass for even more seating. If the grass is damp, place a tarp or plastic sheet under blankets to keep them dry. Don’t worry about matching patterns, colors or even styles. Let it be beautifully haphazard. Find little ways to elevate the experience for your guests. Even something as simple as incorporating finger foods can make a noticeable difference. They’re easy for guests to carry as they stroll from conversation to conversation. And they’re perfect for one-handed eating. Leaving the other hand free for playing lawn games, enjoying a refreshing sipper or telling a lively story with dramatic gestures. 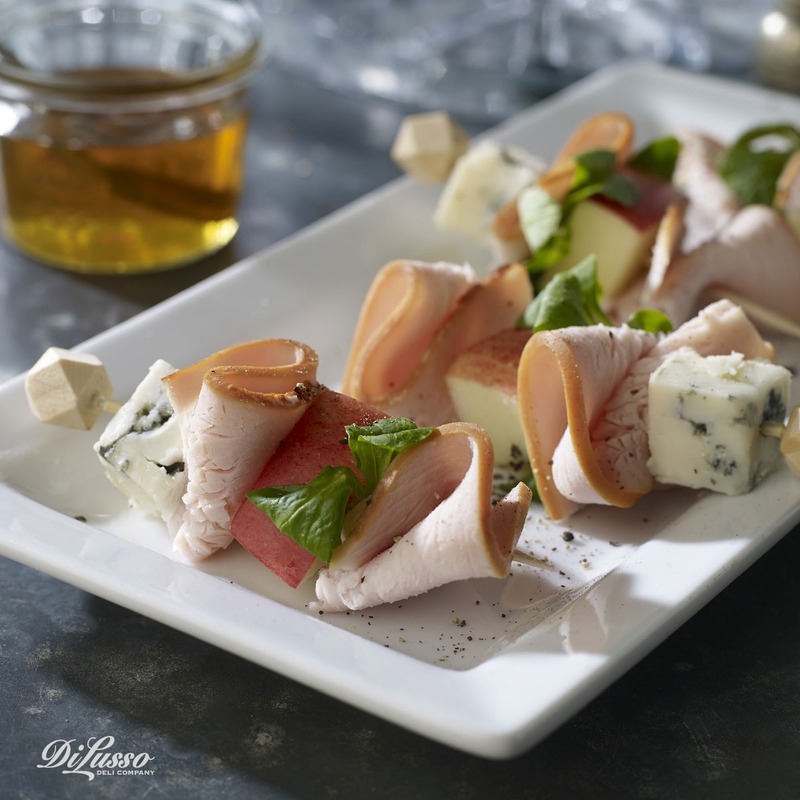 These Smoked Turkey, Apple & Blue Cheese Bites are a simple yet tasty example. The geometric skewers make them easy for one-handed noshing, while their delectably fresh flavors make them tempting to eat two at a time. Creamy blue cheese lays the foundation. Our smoked turkey shares its smoldering touch. And for a snap of sweet, fresh apple slices and watercress. Lighting is both practical and beautiful. It can help extend your party into the evening, and add a soft, comforting glow. 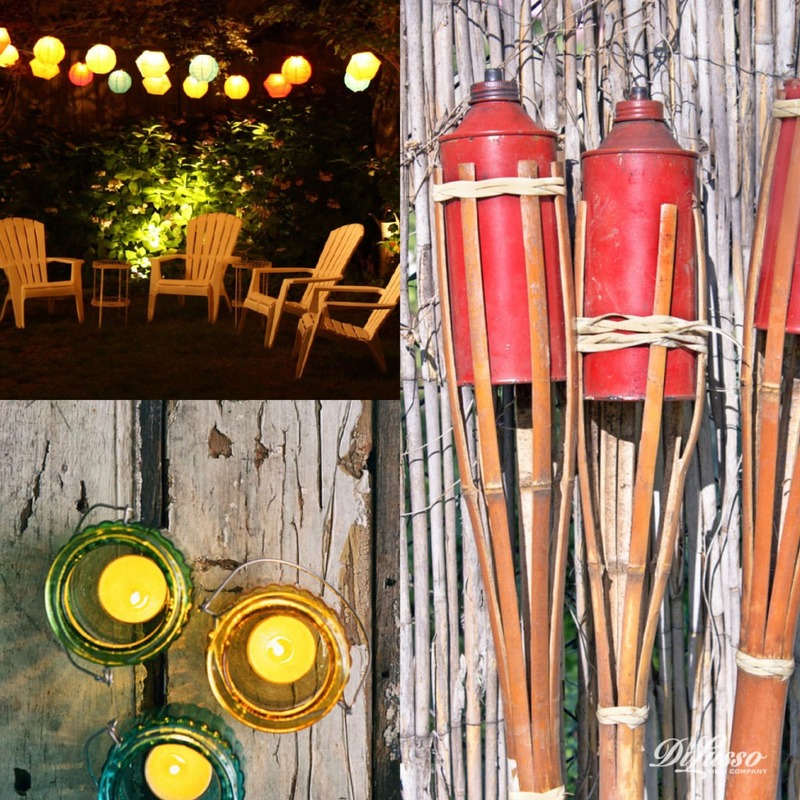 Try placing tea lights on tables or hanging string lights in trees. Lanterns – paper, glass, etc. – are also a decorative way to add glimmers of light here and there.